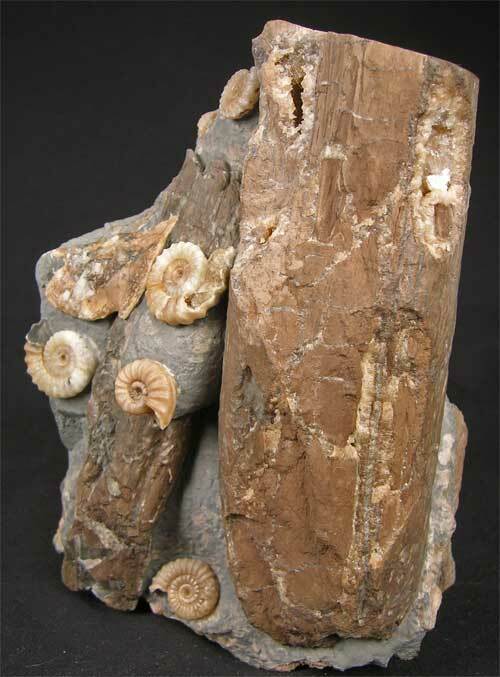 This superb association of ammonites washed onto fossil branches is very aesthetic indeed. 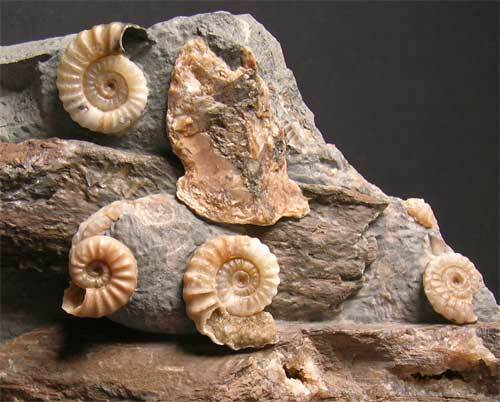 These special fossils from England's Jurassic coast are becoming very rare thesedays. 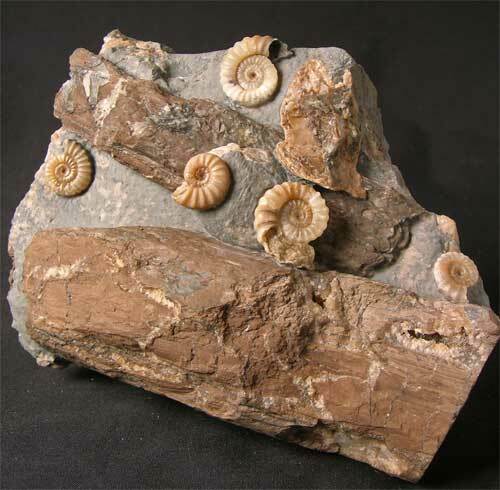 The contrast between the beautiful coloured ammonites and the dark brown wood is magnificent. 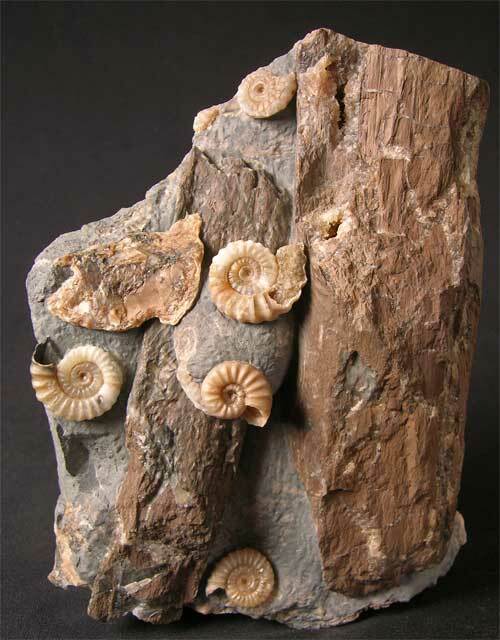 This particular fossil was unearthed during a severe storm which lashed the coastline some four years ago. Many hours of preparation work has gone into this specimen which was prepared by Andy Cowap. Approximately 200 million years old.